When it comes to designing a practical bedroom, the standards are the same regardless of size: a bed and nightstand are non-negotiable necessities. 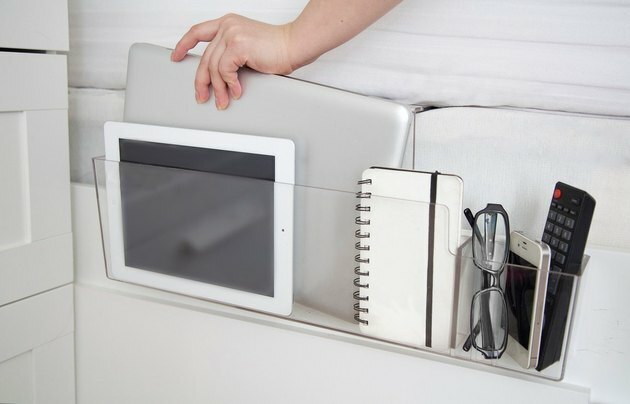 But just because you need a space for your water cup and phone charger doesn't mean that you always have to resort to a bulky square surface. If this hideaway is on the small side, then get creative with your storage solutions! From mounted and see-through items that maximize inches, to textured and reflective pieces that pack style into tiny packages, we've picked out 14 alternatives to the standard bedside table to fit this must-have into your square footage. It's a small detail that'll go far in making your room functional and stylish. 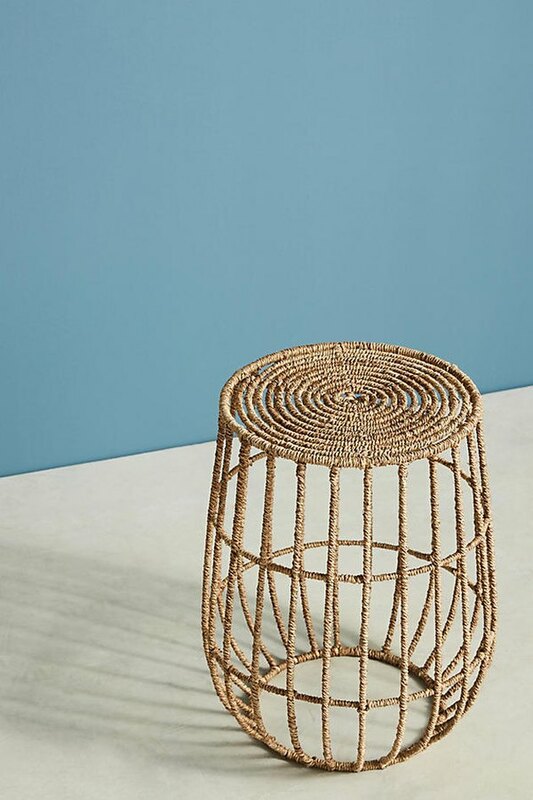 This dip-dyed stool from Serena and Lily ( starting at $58 ) will make the perfect bedside addition without taking up a ton of floor space. Add a small succulent and a trinket dish for your jewelry and you're all set. Mirrors are notorious for making a space feel bigger and brighter, since they help bounce light around a room. 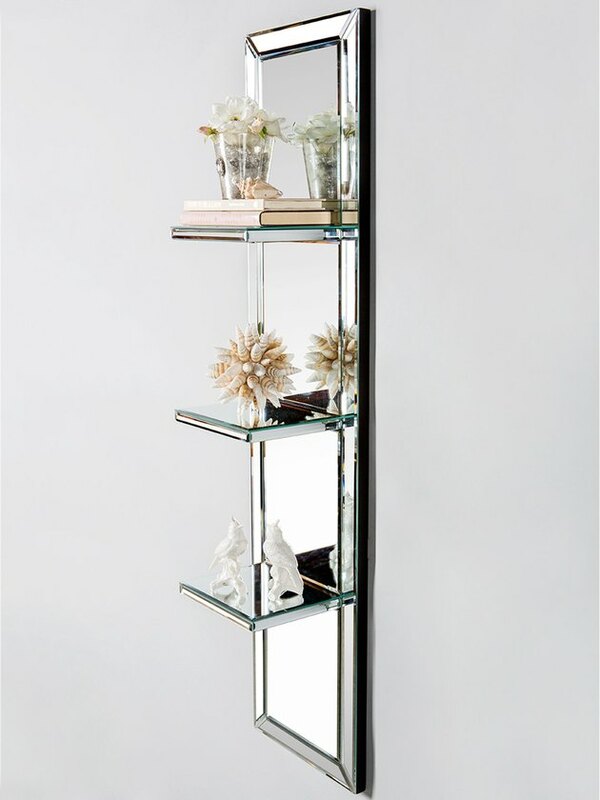 This mirrored shelf from Gilt ( $219 ) will do just that, and give you three ledges for your necessities. 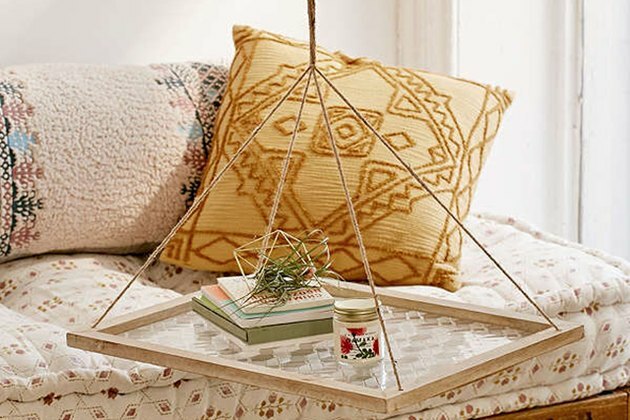 Add a bit of a bohemian vibe to your bedroom with this side table from Anthropologie ( $148 ). The cage design will make even the smallest room feel open and airy. Chic and small don't have to be polar opposites. 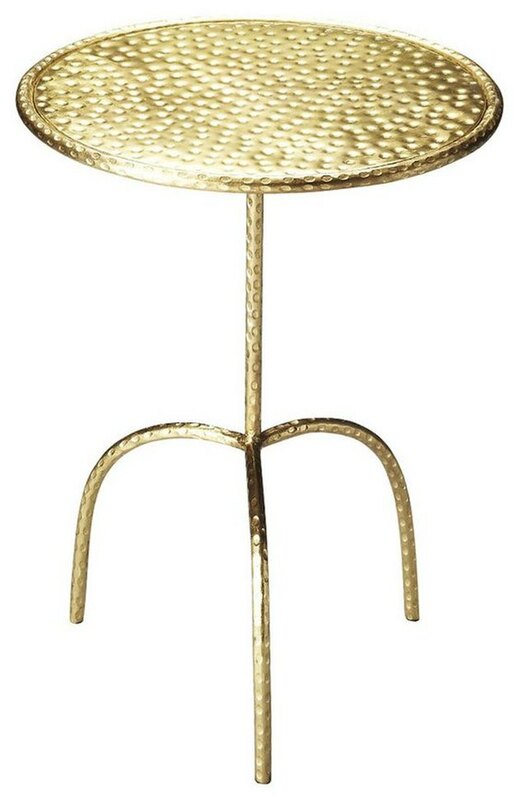 The hammered finish on this brass pedestal table from our friends at Domino ( $153.03 ) will dress up even the most modest of bedrooms. It may be headed to your bedroom now, but it would look just as great in your living room later. You'll instantly increase the space next to your bed with this multi-purpose recluse desk from CB2 ( $349 ). 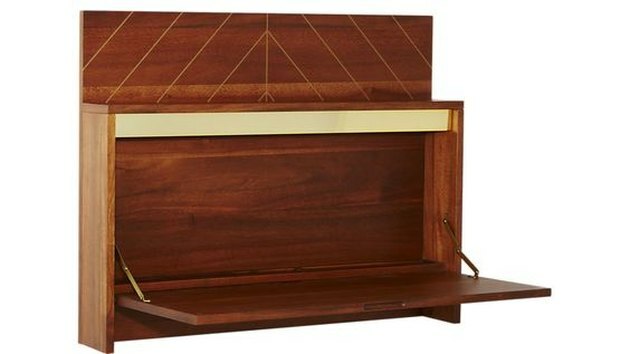 With hidden inlays to store your laptop, cutouts in the back to keep charger cords neat, and a shelf for all of your things, this piece does it all. 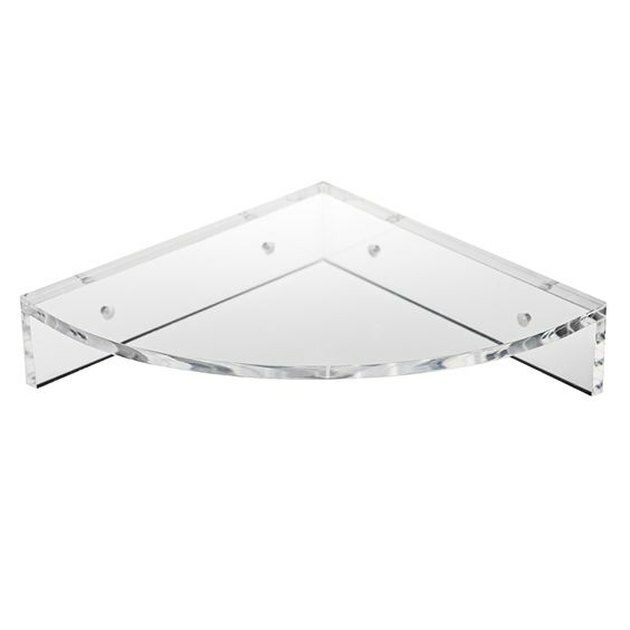 Take up zero floor space with this pressed glass floating shelf from Urban Outfitters ( $59 ). 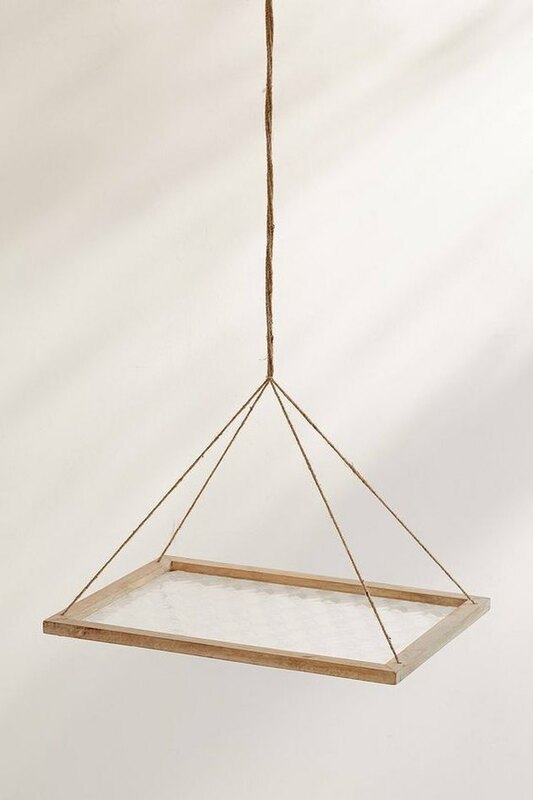 Secure it to a hook in the ceiling and watch your room transform into an airy dream. For those who are seriously short on space, this bed butler from Amazon ( $39.99 ) will house a handful without imposing on your room's current layout. The acrylic design makes it barely noticeable when empty and lets you see exactly where everything is when full. 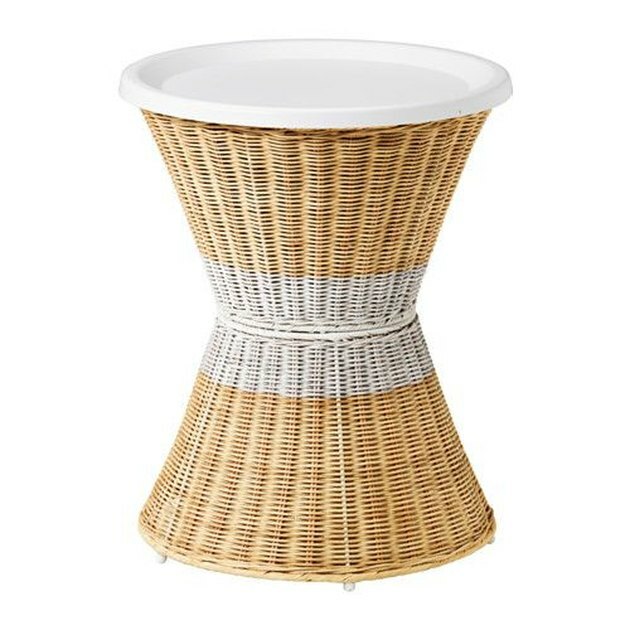 This nightstand from Ikea ( $69.99 ) is handcrafted from classic rattan but also packs modern features. From the removable top that reveals storage underneath to the hidden holes to pass your charger through, this table is anything but basic. Take advantage of an unused corner next to your bed with this acrylic corner shelf from Plexi Craft ( $93 ). This item will also let light pass through it, keeping the space feeling light. 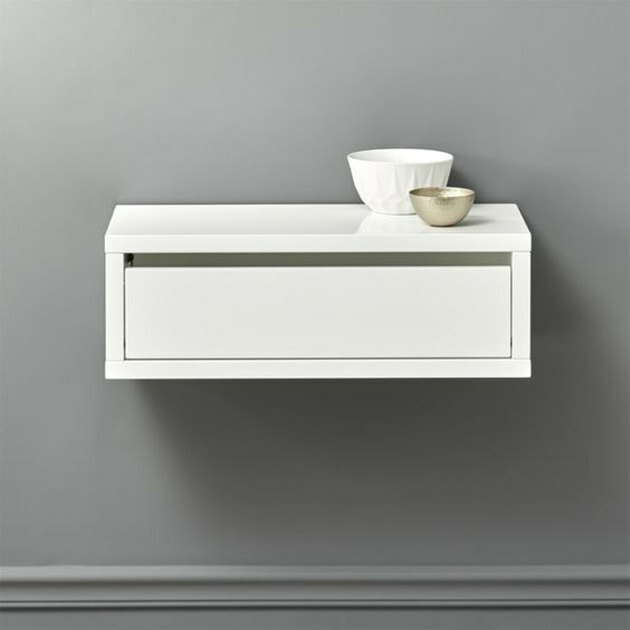 Thanks to its sleek drawer, this mounted storage shelf from CB2 ( $169 ) will provide an ample amount of storage and make your room feel more open, too. Capitalize on the empty space underneath by adding a cool woven basket. 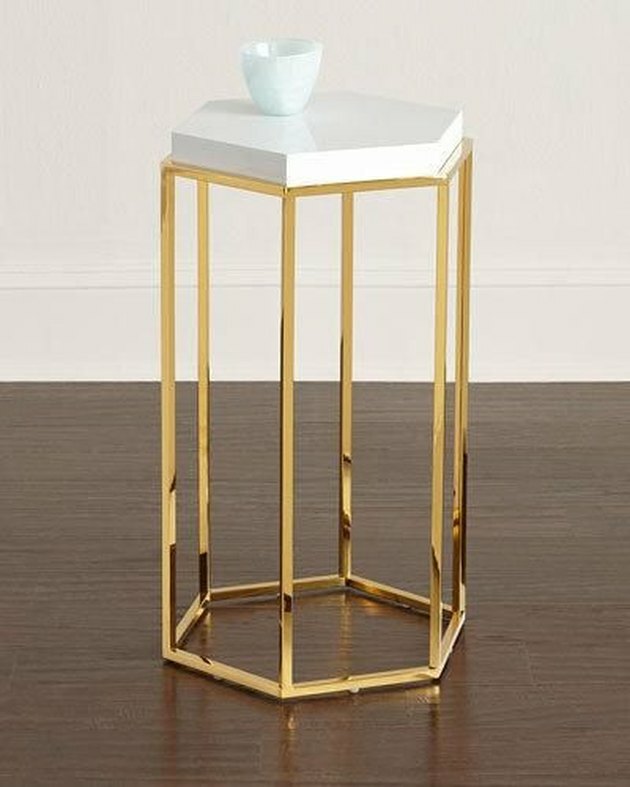 The trendy open brass base and white lacquered top on this side table from Horchow ( $449.25 ) is just what your modern bedroom is calling for. Pair it with crisp white linens and a faux fur throw for a high-end design in a minimal amount of space. 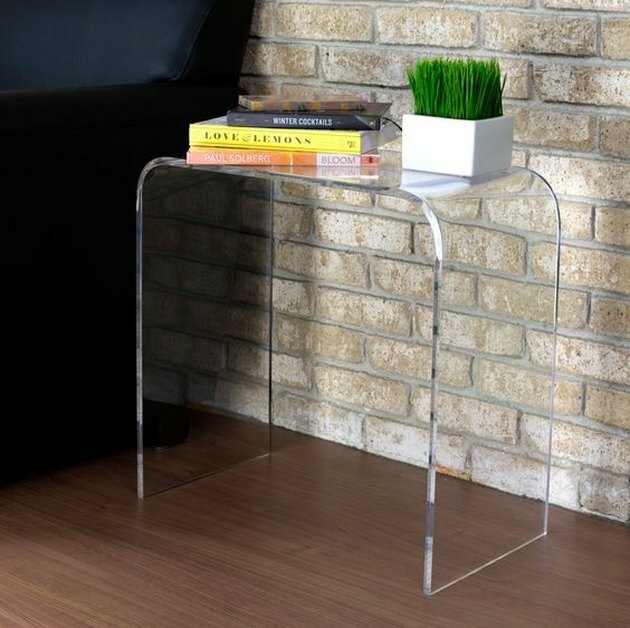 Get the most out of your pint-sized sanctuary with this end table from Shop Pop Displays ( $129 ). Stick a small potted plant under the table for maximum effect. 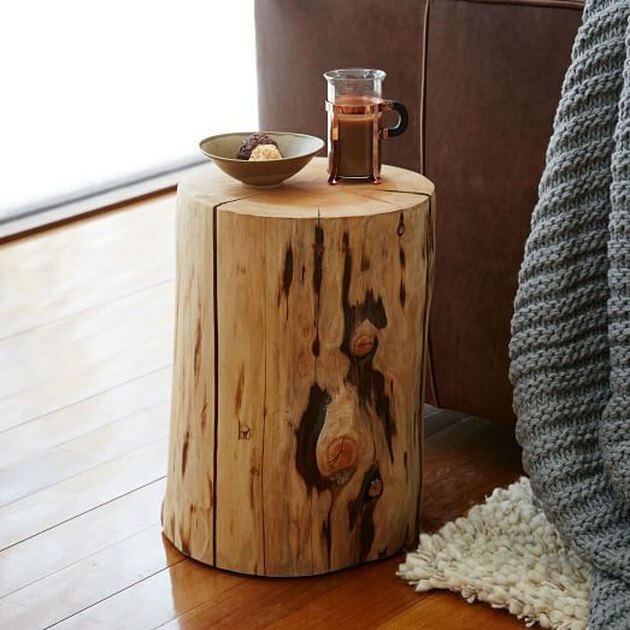 If your room is full of luxe finishes, then balance those out with this natural tree stump side table from West Elm ( $249 ). The table has just enough room for a bouquet and a book, and can double as a seat when needed. 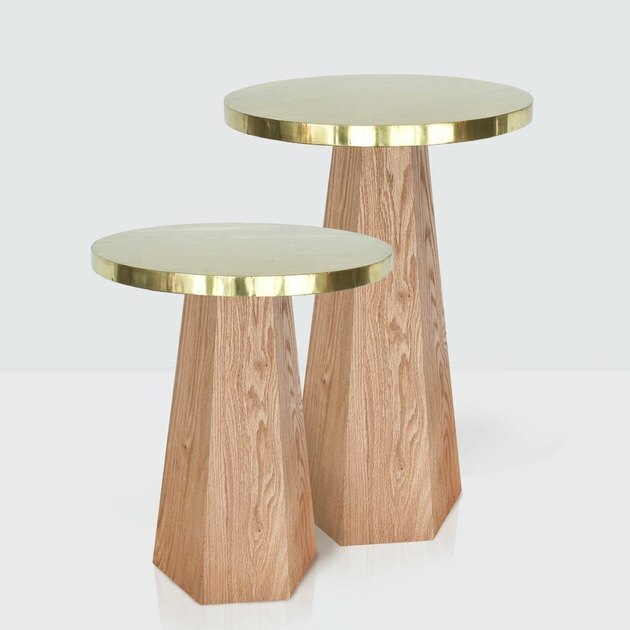 The geometric oak base and sleek brass top make these side tables from the Citizenry ( $325 ) things of beauty. 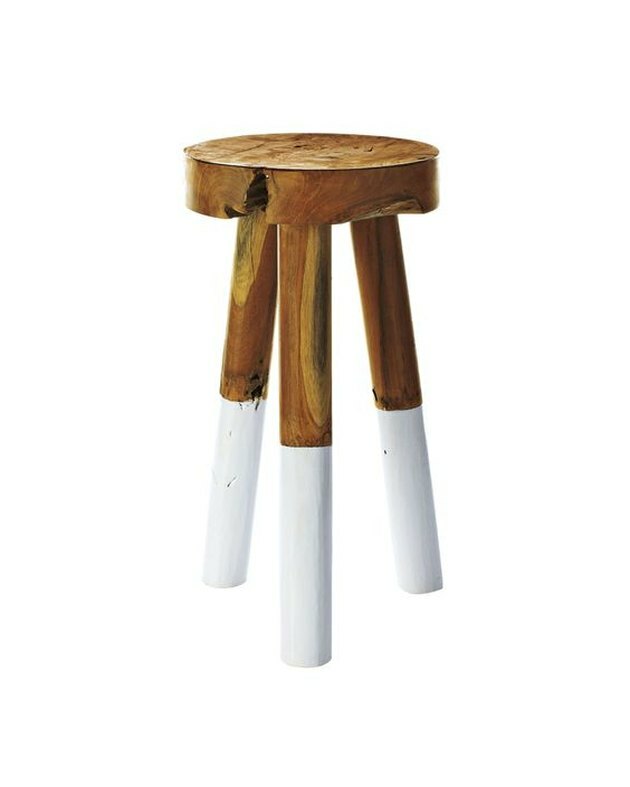 And since they're a mix of glam and rustic, they'll work with any design scheme you have.